The key components of judging a gemstone’s quality are universal in the industry. A yellow diamond ring with diamond accent stones. With respect to diamond evaluation, all four of these criteria are well defined and more or less equally weighted. 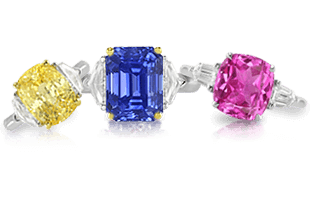 Most colored gemstones, on the other hand, lack well-defined, universally accepted quality standards. However, color is, without question, the key factor in determining quality. Gemstones occur in an enormous range of colors, and to some extent, each has its own specific evaluation criteria. A cushion blue sapphire gemstone with very nice color. Color is difficult to define and classify. For centuries, colored gemstone dealers were forced to rely on descriptive terms that were not universally recognized or understood. 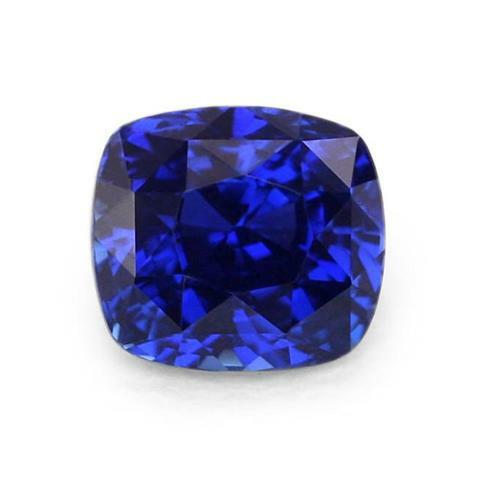 For example, subjective terms for sapphires such as “cornflower blue,” “royal blue,” or “electric blue” were frequently used. Today, gemologists use a more universal and objective means of assessing the color of a gemstone. Color is now described collectively by three terms: hue, tone, and saturation. The hue is the gemstone’s basic color. While a sapphire’s color might be described as yellow or blue, more often gems are a combination of hues. 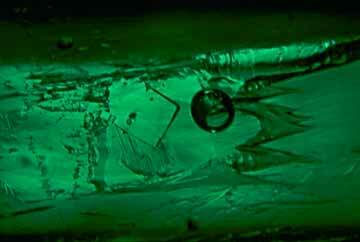 For example, an emerald can have yellow or blue secondary color components that affect its beauty and value. 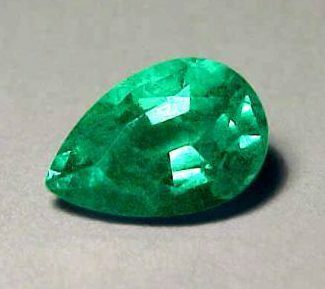 The hue of the emerald would be more accurately described as yellowish green or bluish green. Tone, which describes how light or dark a stone’s color is, will also influence a gemstone’s value. The preferred tone for different gemstones varies, but most are expected to have a medium to medium-dark tone. A gemstone should not be so dark that its color is obscured, nor so light that its color appears pale or indistinct. Saturation describes how pure or intense a color appears, and it is a key component in determining a gemstone’s value. A gemstone’s color may be diluted with what is called a “saturation modifier.” With cool-colored gems, such as blue, green, and violet stones, gray is the usual saturation modifier. With warm-colored gems, including yellow, red, and orange stones, the typical saturation modifier is brown. 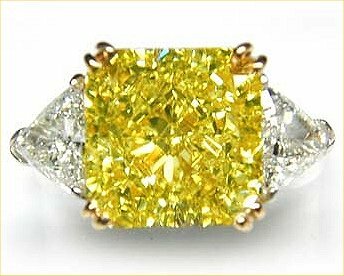 This pretty yellow sapphire has a vivid color saturation. A violet sapphire with poor saturation would be called grayish violet, while an orange sapphire with poor saturation would be called brownish orange. 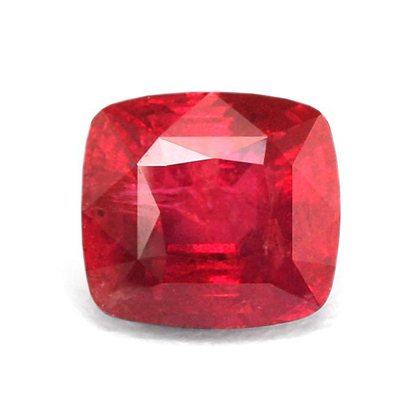 Regardless of the gemstone’s hue, higher levels of saturation are usually preferred, which means their color is not diluted by saturation modifiers. Some of the very finest gemstones have “vivid” saturation, but gems with “strong” saturation are also prized. A gemstone’s color may also depend on how it is cut. Skilled gemstone cutters fashion gems to maximize their brilliance. 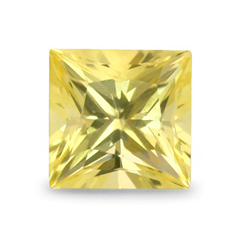 Diamonds in the “normal” range of color are colorless to light yellow or brown. They are graded on a “D to Z” scale, which isn’t associated with specific hues. Instead, the letters represent how noticeable a color is–its “depth” in other words. Depth of color is determined by tone and saturation. 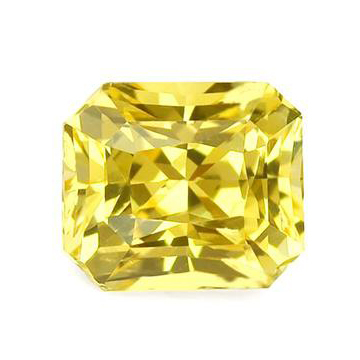 Diamonds with a grade of “D” are colorless stones (preferred); diamonds with a grade of “Z” have a light yellow or brown color (less desirable). A diamond color chart indicating examples of diamond color ratings. Diamonds outside the “normal” range of color are called fancy-colored diamonds. Fancy diamonds are: (1) all colors–except yellow or brown–including red, pink, green, purple, orange, and blue diamonds or (2) yellow or brown diamonds that have more color than “Z” stones in the normal range. 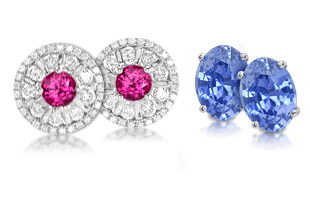 Fancy colored diamonds will be termed “fancy light blue,” “fancy intense blue,” or “fancy vivid blue,” for example. 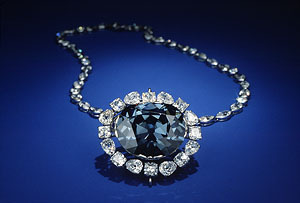 The hope diamond is a very rare large fancy blue diamond. Gemstones are host to many different inclusions , and, with the important exception of diamonds, even the finest colored stones are not expected to be free of inclusions when viewed at 10x magnification. In fact, colored gemstones with no inclusions should be viewed with suspicion; they may be synthetic stones or glass imitations. While diamonds are valued for their clarity, or lack of inclusions, the optimal clarity for most colored gemstones is “eye-clean,” which means no inclusions are visible to the naked eye. When evaluating clarity, experts consider the size, number, location, and overall visibility of the inclusions. The number of inclusions may also affect the gemstone’s durability. Cavities are voids or holes that extend from the surface of the gemstone into its interior. Color Zoning refers to areas or bands of alternating color in a gemstone. Fingerprint Inclusions are networks of tiny liquid-filled tubes that resemble human fingerprints. Fingerprints are formed when gemstones recrystallize to partially heal a fracture zone. Halo or Discoid Fractures are oval or circular fractures surrounding a solid or liquid inclusion. They resemble a fried egg. They may be formed from stress due to the radioactive decay of tiny zircon crystals or from the high temperatures required for heat treatment. Included Crystals are light, dark, transparent or opaque minerals trapped inside a gemstone. Liquid Inclusions are liquid-filled spaces within a gemstone. Silk can add value to a gemstone by enhancing its brilliance. 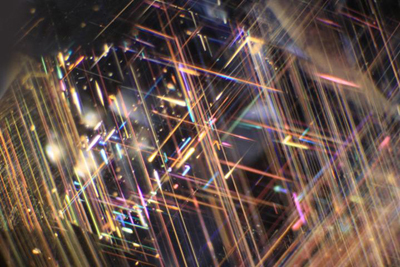 Silk refers to the fine rutile needles that create the sleepy transparency in some rubies and sapphires. Silk is an example of an inclusion that may actually add value to a gemstone. In moderate amounts, the highly reflective rutile needles scatter light within a cut stone, helping to illuminate its darker facets and enhance its brilliance. Most transparent gems reveal their full beauty only when they are cut. The term “cut” can have several meanings when applied to gemstones. For example, it may describe the faceting style or shape of a finished gemstone. It may also mean a gemstone’s proportion and finish . Proportion refers to the rough dimensions and overall symmetry of a gemstone. Finish describes the precision with which facets meet, the relative size and number of facets, and the quality of the stone’s polish. 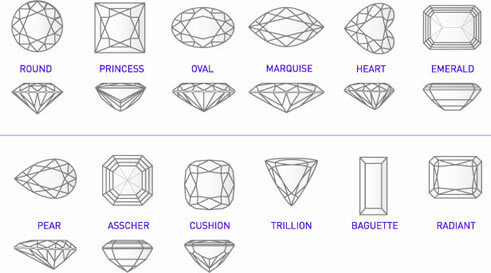 A chart depicting the most popular gemstone shapes. They desire to present the gemstone’s best color and brilliance. 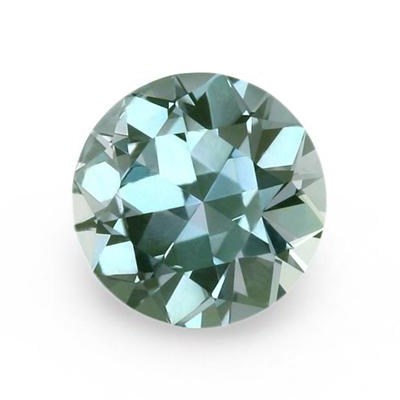 In diamonds, a “near colorless” stone is desired. Many colored gemstones are pleochroic, which means their color changes depending on the angle at which they are viewed. Consumers usually prefer one color to another, so gemstones are cut so that the preferred color is visible through the crown of the stone. They desire to maximize the gemstone’s final weight. This may be constrained by the gemstone’s crystal shape or growth-form. They desire to minimize the appearance of undesirable inclusions. 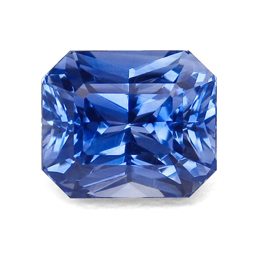 A blue radiant-cut sapphire gemstone. At times, these guiding principles may conflict with each other. On occasion, cutters may be forced to compromise color or clarity to retain carat weight. For example, it may not be possible to orient a gemstone for ideal color because the potential loss of weight would be too great. In other situations, an asymmetrical cut may be permissible because it maximizes color, conserves valuable rough, and avoids highly included or fractured areas within the crystal. A gemstone’s size, if expressed in a unit of weight, is called a carat (abbreviated “ct”). A carat is a metric unit equivalent to one fifth (.20) of a gram. One hundredth of a carat is called a point (abbreviated “pt”). 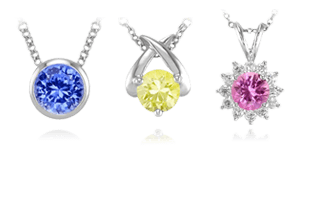 A number of small gemstones may be weighed together to give a total carat weight (abbreviated “tcw”). 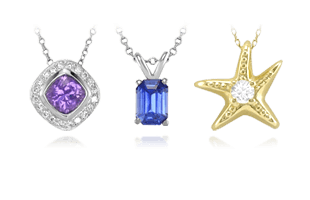 The effect of carat weight upon gemstone value varies by gemstone type and color. For example, aquamarine is comparatively plentiful in sizes above five carats, but five-carat rubies are extremely hard to come by. In most gemstones, per-carat prices tend to increase with carat weight. In general, the consumer can expect steep increases in the price per carat at the one, three, five, and ten-carat levels. 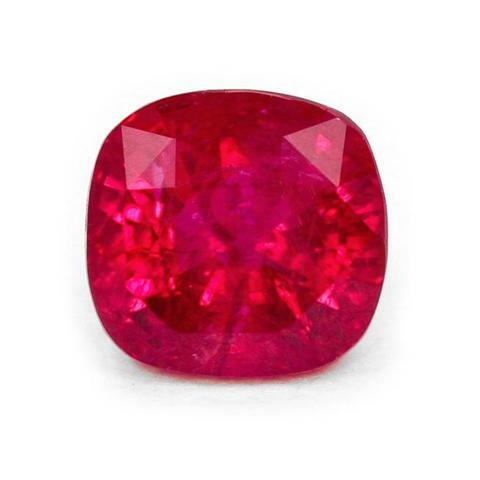 A 12ct untreated ruby gemstone. High quality gemstones are not usually cut to calibrated sizes because it could result in a significant loss of weight. Commercial quality gemstones are more likely to conform to standard calibrated sizes. Now explore how these gemstones can be set to best display their beauty in Gem Setting | A Guide to Gemstone Setting Options.